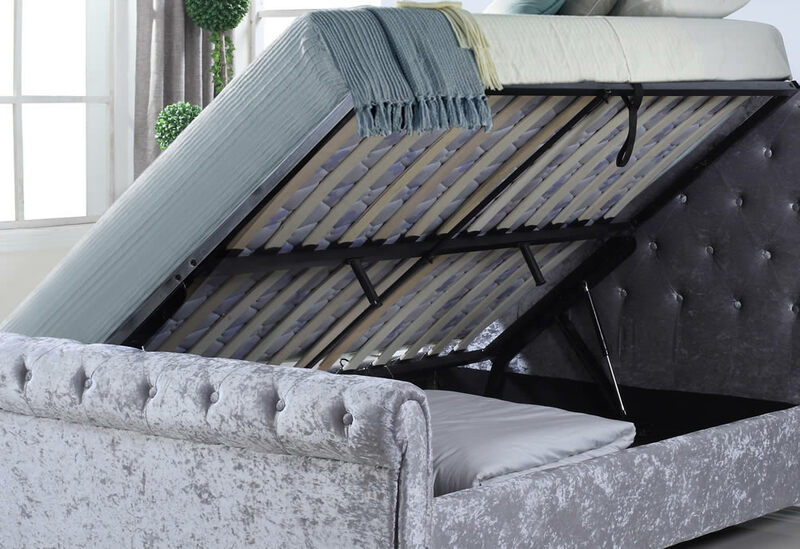 The Flintshire Furniture Whitford side ottoman bed frame in a silver crushed velvet fabric features, a lift up side opening base for the mattress offering easy access to the large under bed storage space. 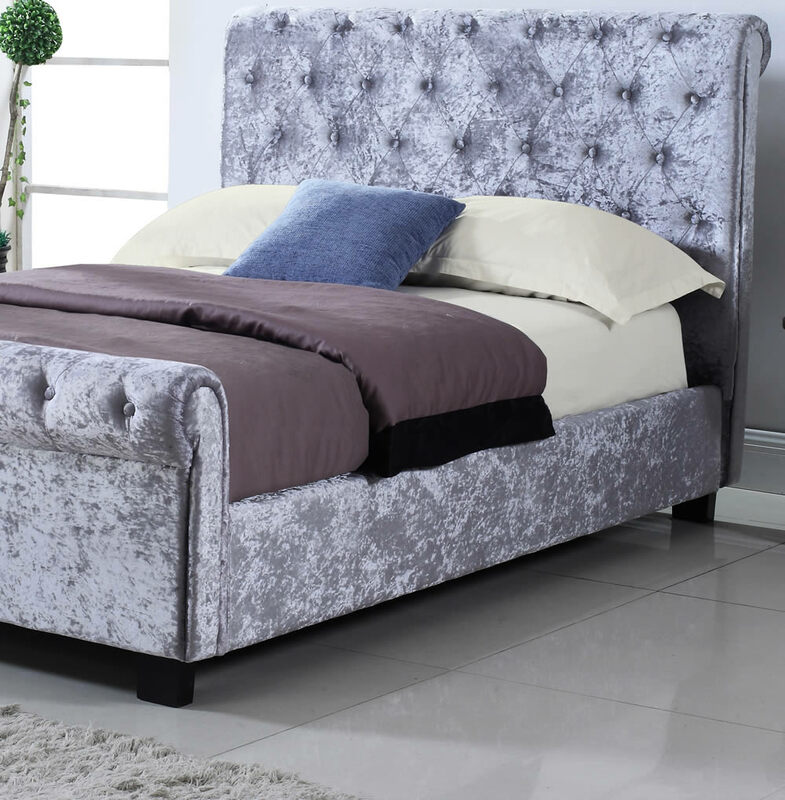 The Whitford Ottoman has a tall headboard and lower foot end with round material button stud detailing. 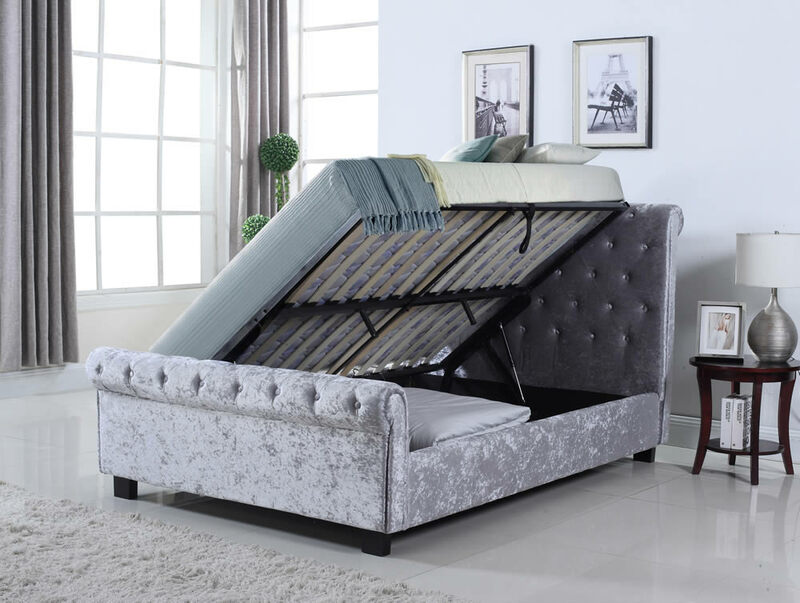 The sturdy lift up base offers hydraulic strut assistance for safer plus easier raising and lowering of the frame and mattress, the lift up frame can be assembled to open from the right or left side of the bed frame. For extra support and comfort two rows of slats are used, they are fixed to the centre support beam and frame side rails. 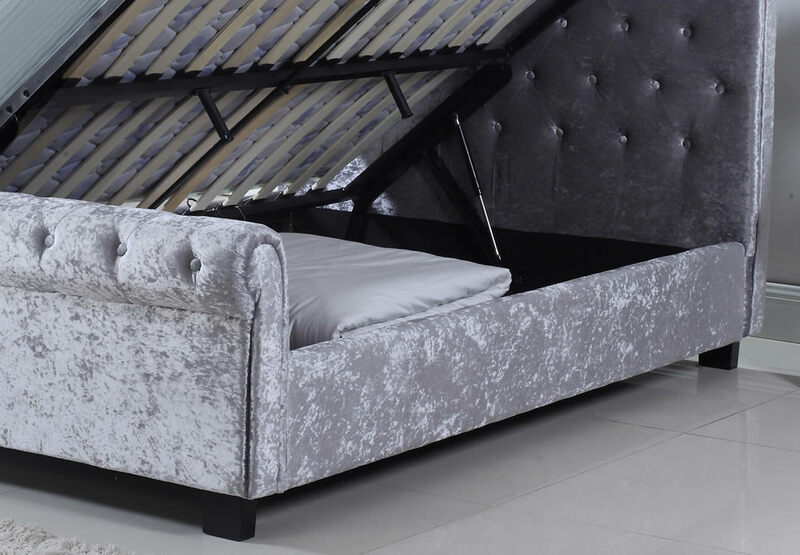 Crushed Velvet offers a luxurious feel and modern twist on a timeless fabric and works very well with the Whitford straight lines and contoured design.